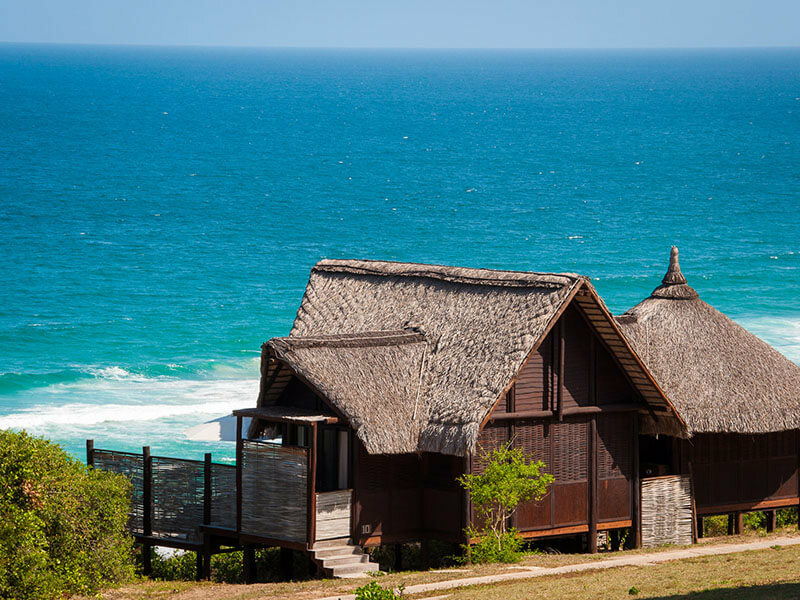 One of the most stylish lodges now opens on the mainland coastline of Mozambique. 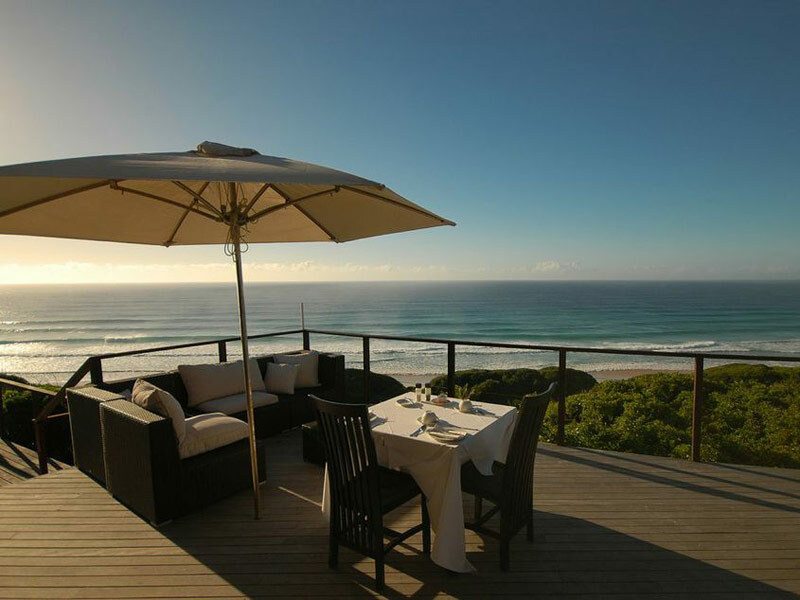 Occupies a blissfully isolated position perched above a seemingly endless stretch of beach. 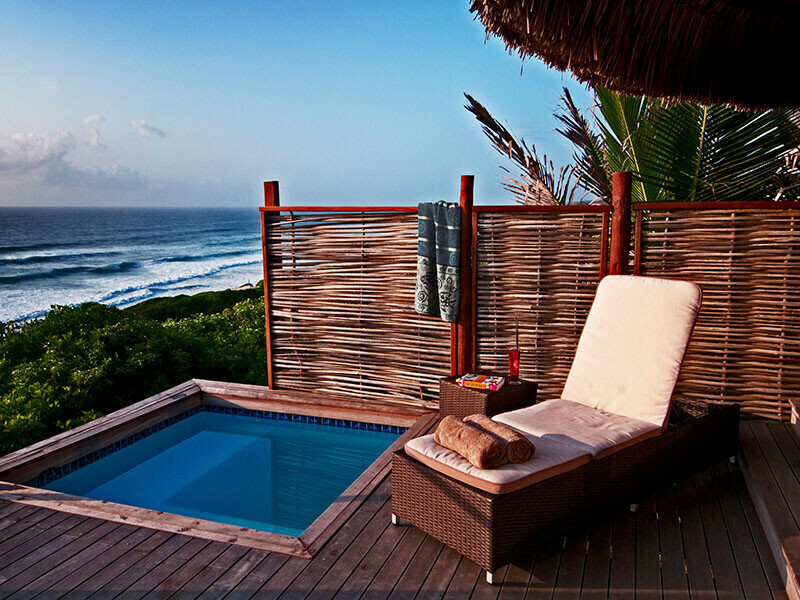 We love the ocean front deluxe rooms in particular, where you can relax in the plunge pool on your private deck whilst your eyes drink in stunning views. Stylish and luxurious rooms, which offer great quality at a very reasonable price in a peacefully isolated location away from the crowds. 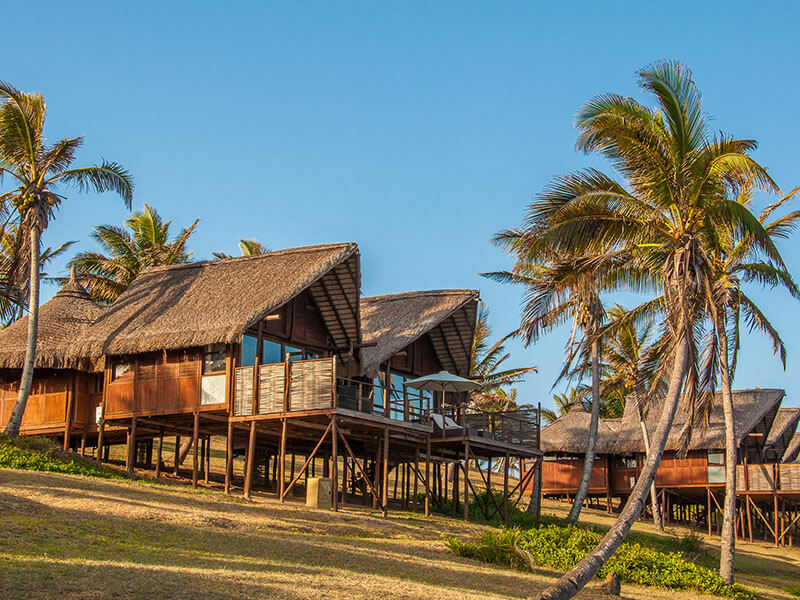 Massinga Beach Lodge Mozambique is located only 89 kilometres north of the historic city of Inhambane and with spectacular 180-degree ocean views and luxurious accommodation! 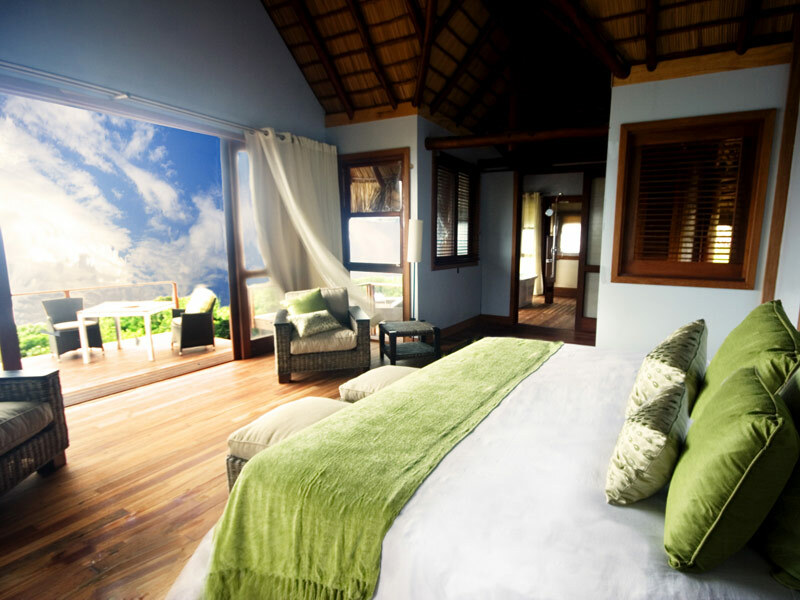 We love the Ocean Front Deluxe rooms in particular, where you can relax in the plunge pool on your private deck whilst your eyes drink in stunning views. 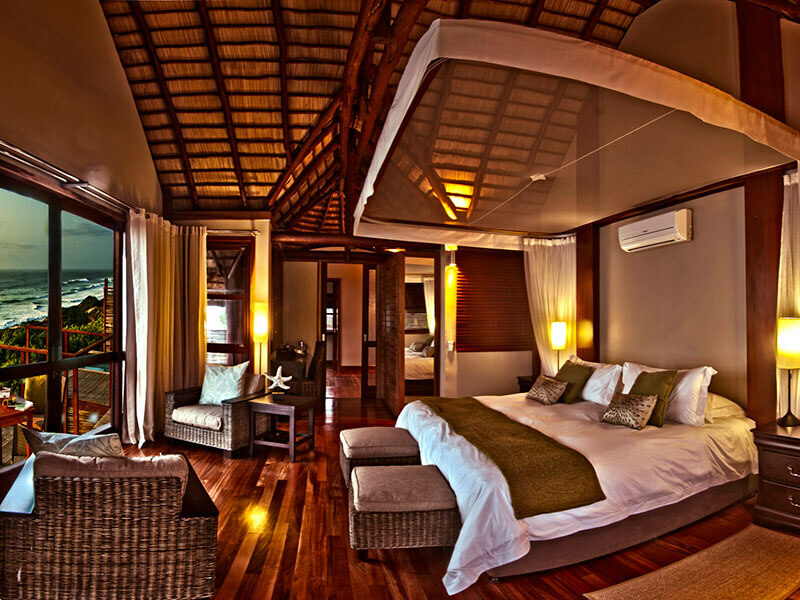 Truly stylish thatched suites! 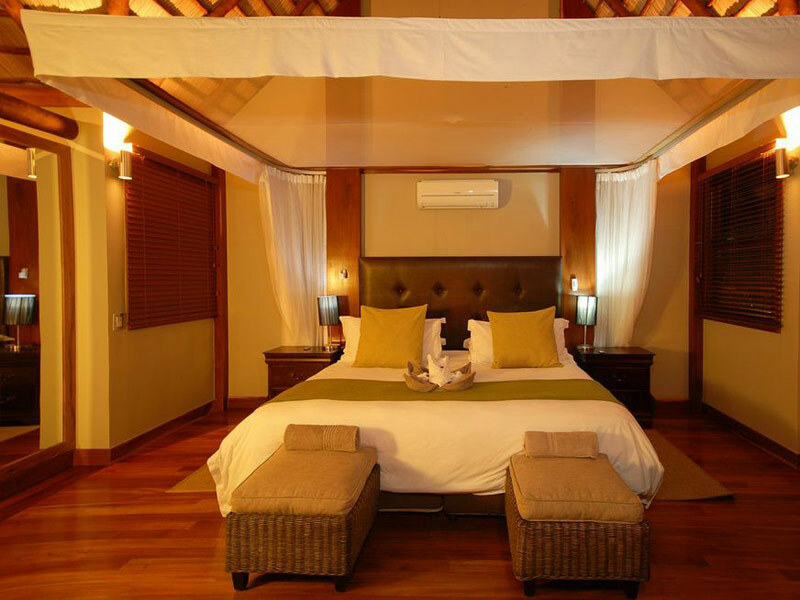 Comfort is a priority in any of the 16 Deluxe Ocean Front rooms designed for romantics! 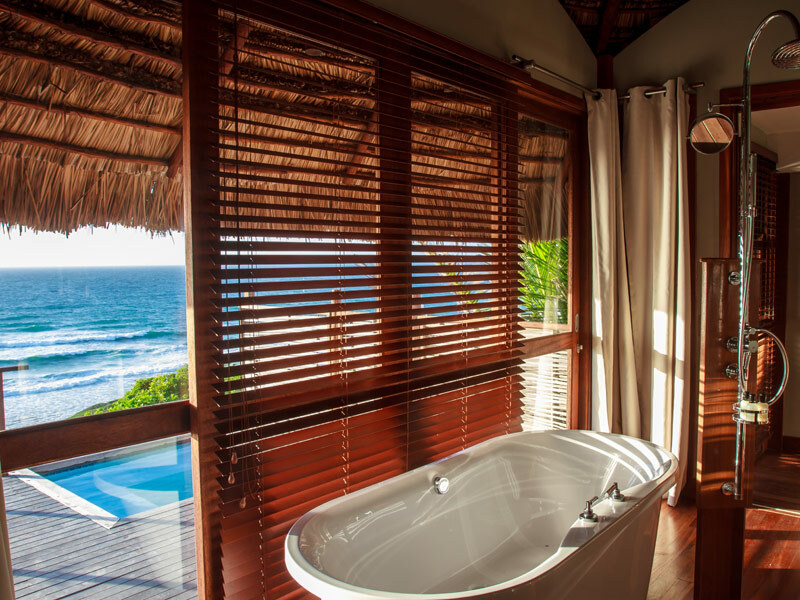 A surprise Massinga Gift, romantic turndown and other treats help make this a perfect honeymoon from the perfect Massinga Beach Lodge Package! 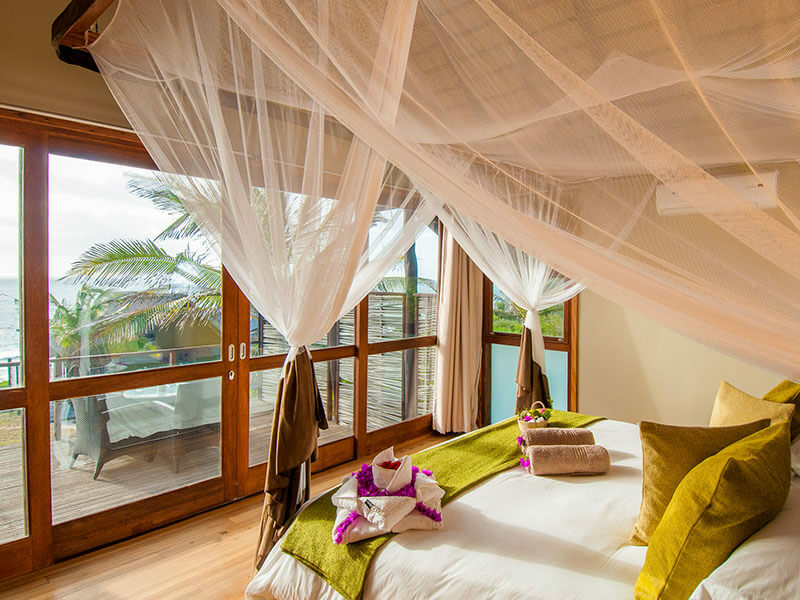 These each boast a private splash pool on your deck where you can enjoy the 180-degree views from the comfort of your sun loungers – inside the spacious rooms which include an outsized king bed complete with romantic mosquito net and crisp linen. 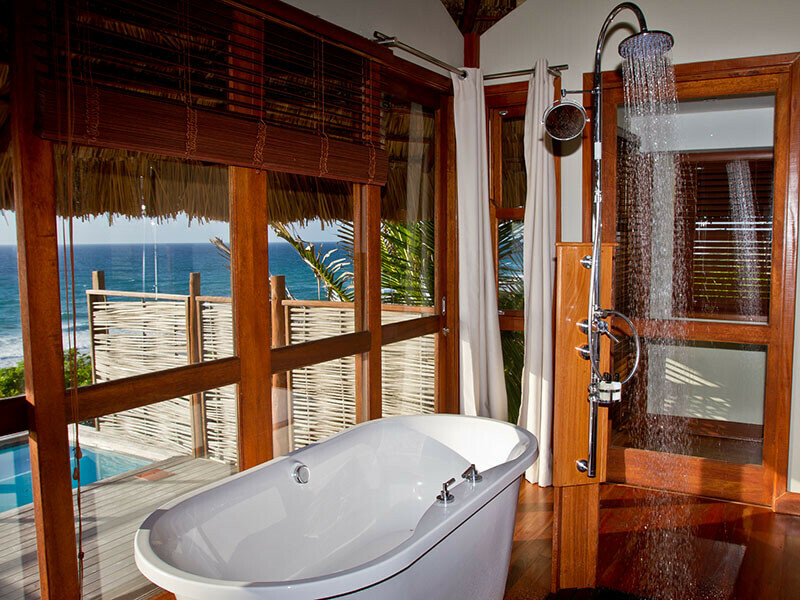 Add a stunning en-suite rain shower and a free‐standing bathtub opening out onto a private deck. 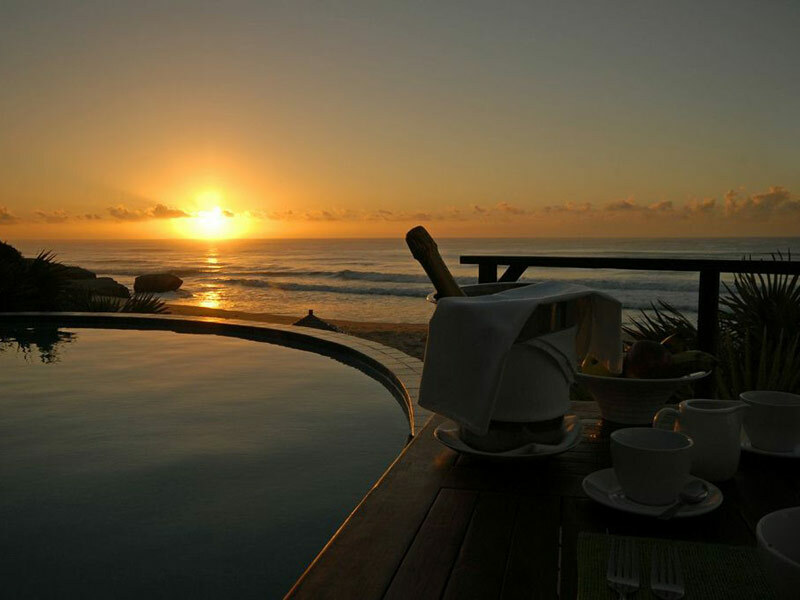 The 12 villas which also offer stunning accommodation and sea views are designed for families. 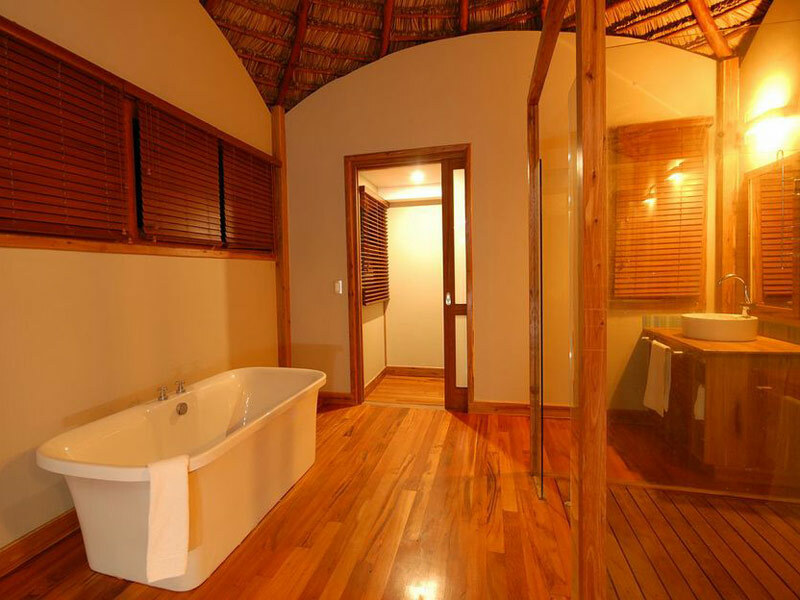 All include bathrooms with a free-standing bathtub, and a rain shower opening out onto the decks’ two restaurants. The friendly attentive service is also complemented by scrumptious cuisine. As you might imagine, superb fresh seafood is the order of the day here! 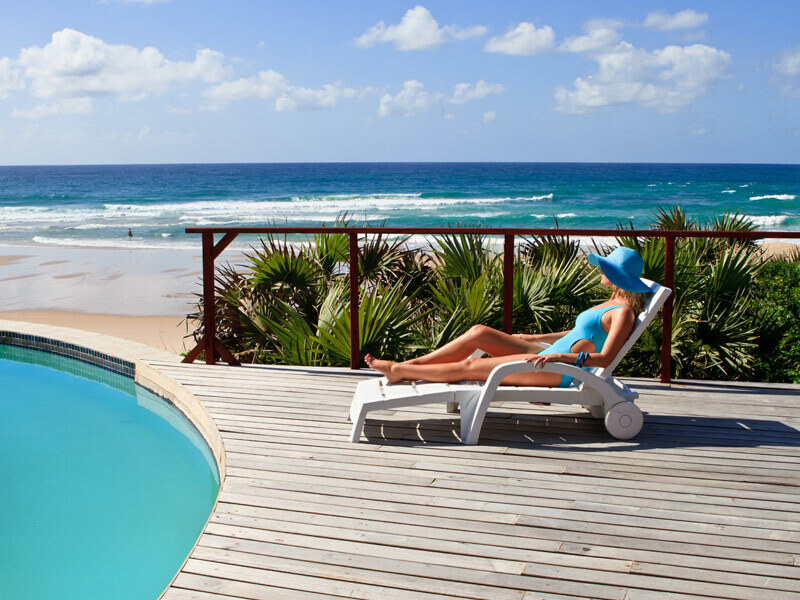 Enjoy little luxuries like in-room dining, high-tea and sumptuous beach picnics at this Mozambique Beach Lodge in Inhambane. 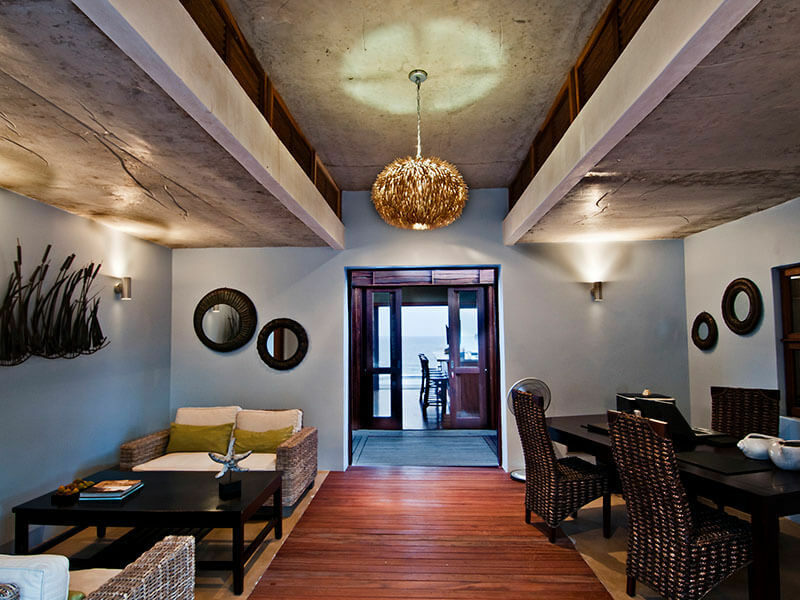 Each guest is made to feel at home, so whether you require a special wedding destination, honeymoon escape or an excellent diving holiday, the highly-trained staff at Massinga Beach will surely take excellent care of you! 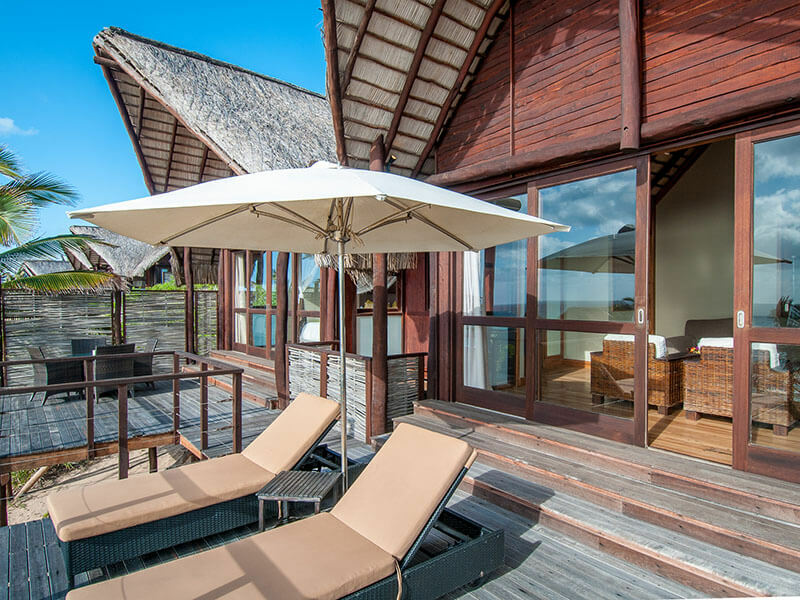 Activities on offer at the lodge consist of Rock and Surf Fishing, Bicycle Riding, Massage Therapy, Coconut Cutting Demonstration, Nature walks both on the beach and through the hillside, Star Gazing – telescope provided on the leisure deck. Situated approximately 2km from the Beach Bar, Fingers Rock Formation is a natural wonder perfect for a shallow off-shore snorkel. The hub of entertainment, the Beach Bar has an array of activities. Pool & table tennis table, dartboard, air hockey, surf & boogie boards, beach games such as volleyball, cricket and football. To get to Massinga you will fly into Inhambane. You are met by a Massinga representative and will drive to the jetty. Here you will board a local dhow and take the 20 minute transfer across the jetty to Maxixe. From here it is a 45 minute scenic drive through the coconut groves to the lodge. These flights operate throughout the week from Johannesburg International Airport to Inhambane Monday, Wednesday, Friday and Saturday is direct flights. Sundays, Tuesdays and Thursdays flights travel via Vilanculous. We are Mozambique Flight Experts and our sales team can book the best flight at the best price for you. 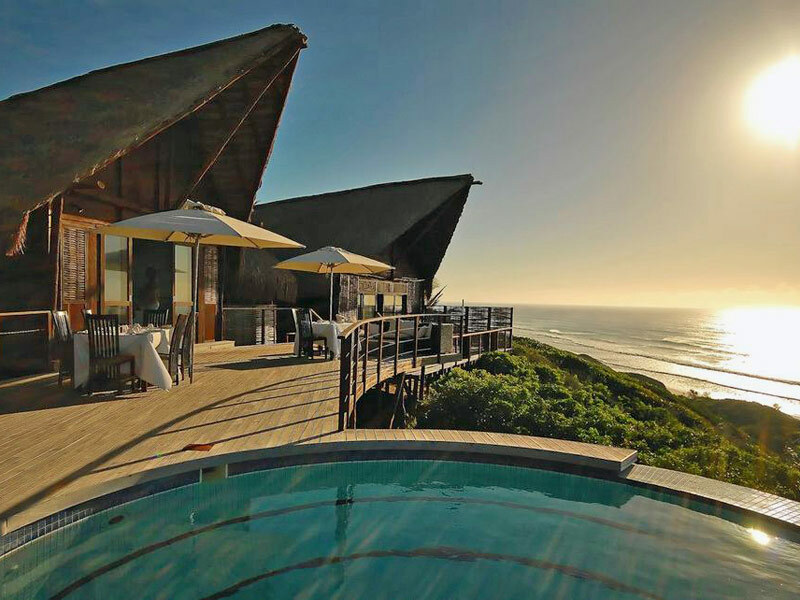 Once in Maputo, you have the option of driving the 568km stretch to Massinga Beach Lodge. Maintain speed limits and at all times be courteous on the roads. Avoid traveling at night wherever possible. The drive to Inhambane can take anything between 6 – 8 hours. 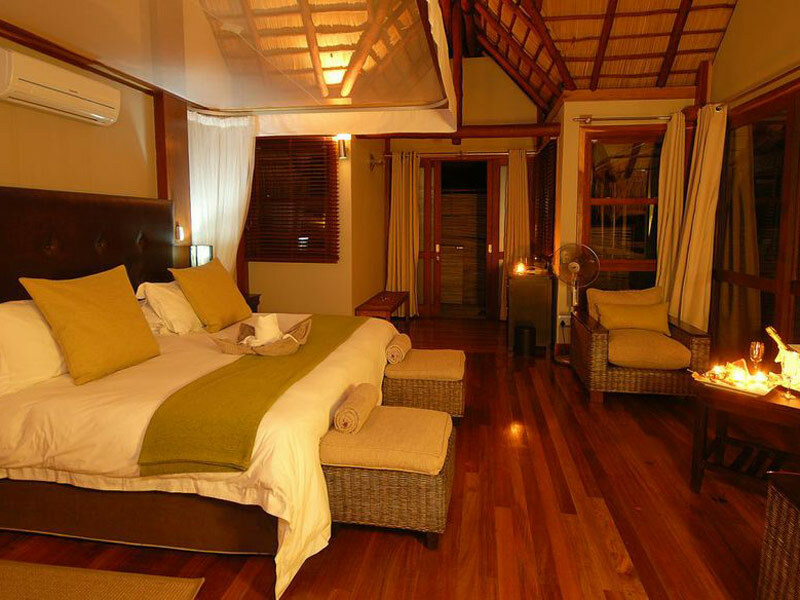 From the historical city of Inhambane it is an 89km drive to Massinga Beach Lodge. The last stretch of your adventure road trip is a scenic one, the road winds through upbeat local villages and continues into thick groves of tropical coconut trees. There are numerous towns and villages en-route and the main road often passes directly through these villages. It is advised to not drive at night.